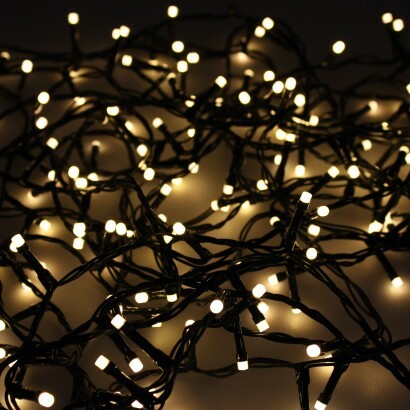 These sparkling fairy lights have a frosted effect for an extra festive feel! Available in warm white, these pretty lights have eight cool functions to give your home a little extra sparkle and shine allowing you to cover all occasions from flashing party lights to twinkling Christmas tree decorations and more! Suitable for use indoors or outdoors (keep the transformer and controller inside), these frosted LED fairy lights give a sparkling glow to your home and garden.